It has been a horrible week for the News. Nearly every day we awake to some act of terrorism in the world, where innocent people are killed in cold blood by an extremist or extremist group (4 of such events in Germany alone in one week). 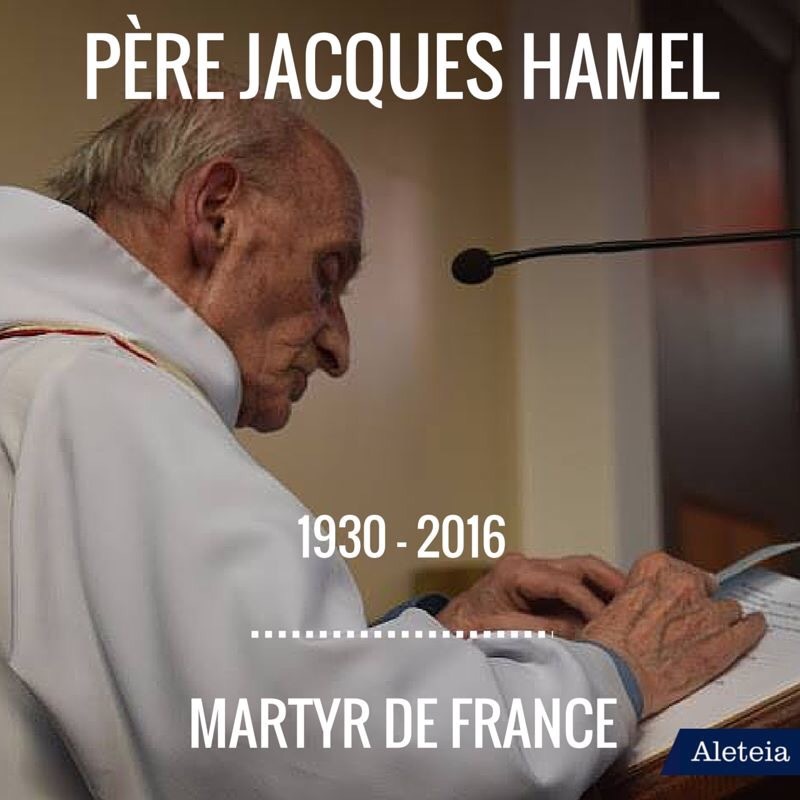 Yesterday we awoke to the murder of a simple country priest in France, Père Jaques Hamel, who’s throat was slit open by an extremist attacker in the middle of celebrating the Eucharist at Mass with his congregation. It seems, no one is safe anywhere, in the movie theatre, at the shopping mall, in a concert, at a bus stop, not even a church or place of worship. Stability, is what we all long for in a world that is way too unstable, moving on fast-foreward, and ever more uncertain road to who knows where? When a Monastic joins a community, he or she makes a vow of. Stability, apart from Conversion of life as a Monastic and the vow of Obedience. This vow of Stability is to “stick it out” in the context of the community that one has elected as their Religious Community, an extension of themselves. All of us have or should have those points or anchors of stability. It may be our faith in God, it may be a family member, it may be a faithful pet, or friend, it may be my home and surroundings, it may be my church, or synagogue or mosque. What is it that grounds us in the midst of so much change? We all have wandering hearts. We want a better job, we think there is a better or future love interest in store for is, we want to climb the social ladder, we think that there must be another church out there where they preach better, or sing better, or don’t ask for money all the time. We are sadly, this day and age ‘consumers’. But consumerism says that all things are attainable with money, influence, or coercion. Consumerism says, that all things are dispensable and easily replaced with little or no effort. These concepts or ideas fly in the face of Stability. Many of you know that I have been struggling at least a year with my own vocational crisis. I have been working five years in a parish that has struggled constantly to be self sufficient economically and that has lost nearly 30 percent of its population or membership in the last five years due to aging, illness, death, and the instability of those whose lives are so mobil that they are constantly on the move. This has been vocationally one of the great ‘winters’ of my 25 years as a priest in the church. Fortunately my own vow of Stability to the Monastic life, has helped me weather some of the cold and sleet. Daily I have a routine of prayer and reflection. I walk at least an hour a day, and ride my bike to church and surrounding areas. I try to stay focused on the present, not on the past, not on the future. I have no idea how many years I have left to serve this community. 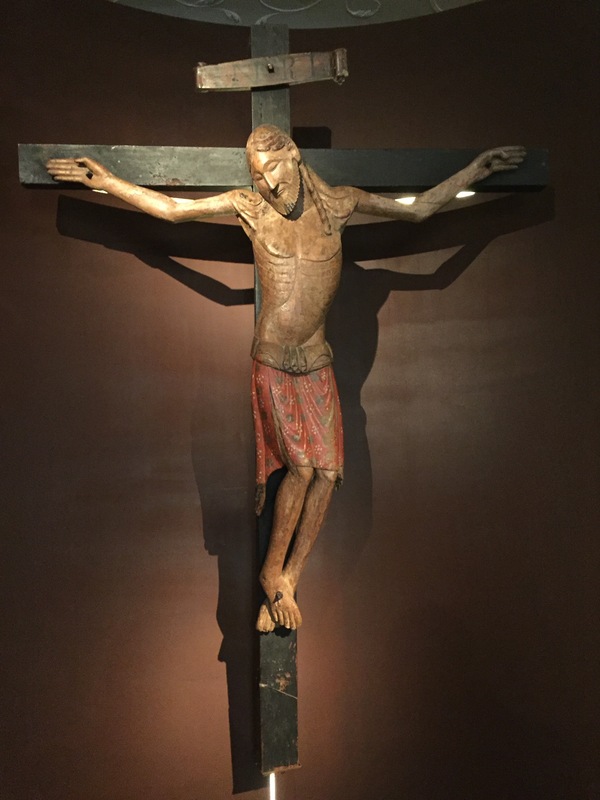 I do know that the option of retirement is just a few years away and my dream of creating an ecumenical Monastic Community in Mexico City is perhaps then just around the bend…I found out how important stability was to my life when I left my home of 15 years in Mexico City to come to Los Angeles after my marriage to JJ. Those 15 years gave me a deep sense of connectedness to both people and place that will never be repeated until I return one day to that sacred and most beloved corner of my world. Until then, I continue to wander both spiritually and emotionally. It has been a huge spiritual struggle to find Stability in the midst of so much change in this ‘late mid-life’ season I find myself in. My family, my monastic community, my church, have all helped me to have a sense that not all is lost. Even so, with the world in such turmoil and chaos, it is harder and harder to stay fixed to the Anchor of Stability. Again, we return always to the Source of our Stability, and Resilience which is God. 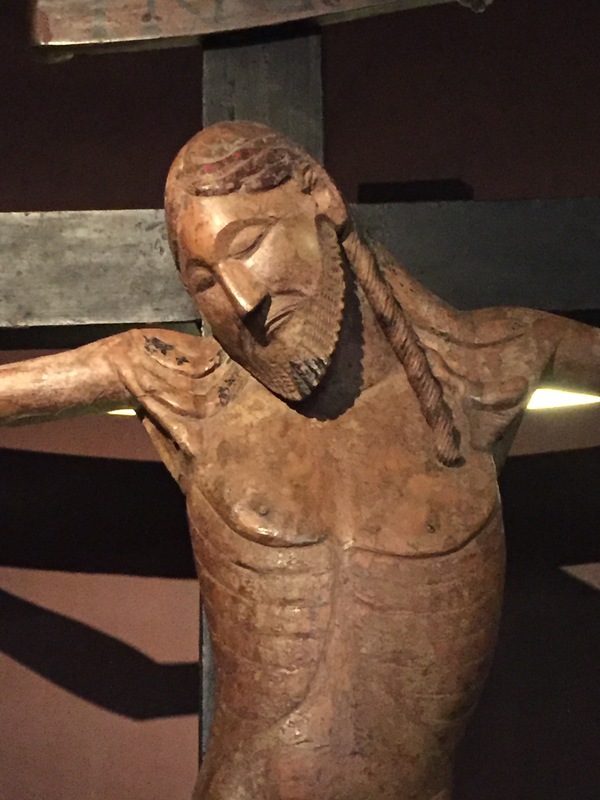 For those of us who embrace a religious existence and accept our call and vocation of our Baptismal Promises, we have no other choice, it is our Only Choice. Our Baptismal Covenant is part of that Stability to ideas, principles and a Way of Living.